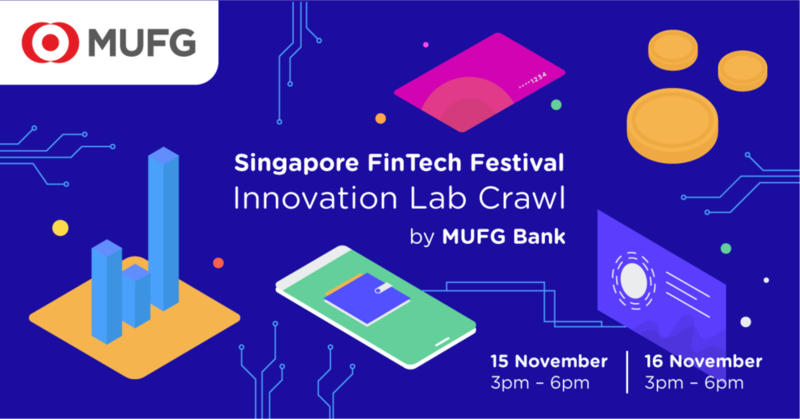 As part of the Singapore FinTech Festival 2018, MUFG Bank invites you to our FinTech Festival Innovation Lab Crawl stop at LEVEL3 on the 15th and 16th of November. Over the two days, we will be showcasing MUFG Bank and partner innovations, as well as partners from our global startup ecosystem. We will also present new initiatives focused on empowering the unbanked, under-banked, and other financially disadvantaged communities in Southeast Asia, as part of the MUFG Bank Digital ASEAN Program. If you own or belong to a FinTech startup, or are simply interested to how financial inclusion can enhance livelihoods of millions of people in Southeast Asia and create a sustainable impact, don’t miss out this event!